Why do we have an Industrial Strategy? 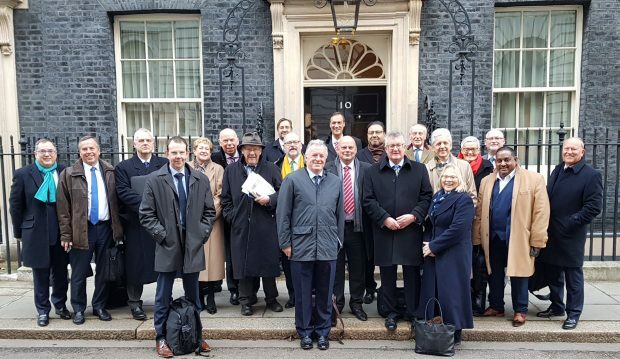 Our Prime Minister doesn’t get much time in her schedule which isn’t Brexit-related - even persuading MPs to work their February recess is a challenge – but she did find time to meet with the chairs of the Local Enterprise Partnerships (LEPs). Well, we did discuss Brexit and how the LEP is helping businesses. But we were really at Number 10 to talk about something of great importance for our future. What happens post-Brexit. Our country’s future, which is being driven by our Industrial Strategy. And Theresa May took the time to remind us of why a national Industrial Strategy is so important and why it is already engaging people and businesses from across the country. This national strategy, along with the Local Industrial Strategies, being led by LEPS, are a blueprint for driving the productivity and economic growth the UK needs. An Industrial Strategy can seem very cerebral, all about strategies and interventions. But we mustn’t lose the point of why it was written – the purpose behind it to improve the lives of people. I didn’t join my Local Enterprise Partnership to sit on committee meetings or to read reports. I did it because I wanted to support skills and enterprise, I wanted to help businesses create jobs and the economic growth which benefits people’s lives. We must not forget that the purpose of our Local Enterprise Partnership is to work in partnership with local businesses and local government to steer us towards the world we want to create in the future. We need growth if we are to generate the prosperity which will pay for the housing, healthcare, and council services that we all want and people in our local communities need. But it is not growth at any price. It is not a straight choice between growth and protecting our environment, our places and the quality of life that we enjoy. Our job as a Local Enterprise Partnership is to invest to support productivity, collaborate with others, identify local strengths and meet local challenges; all to make sure we get a choice over how that growth is delivered. To make sure growth benefits our people and enhances our places. At Enterprise M3, we are choosing investments which deliver clean and inclusive growth, meeting the Grand Challenges laid down in the government’s modern Industrial Strategy. We have just seen the roll-out of our first fleet of zero-emission electric buses alongside Guildford Borough Council and have launched our own Enterprise M3 Clean Growth Fund to support this kind of innovation, transforming mobility. At Royal Holloway University, we have invested £5m in a new, state-of-the-art cyber security and big data centre where companies will be able to try and test the cyber security needed for autonomous cars and drones, intelligent devices in homes and critical national infrastructures. The Enterprise M3 LEP has already invested and is continuing to invest up to £32m in further education colleges and skills, including ten science, technology, engineering and maths (STEM) and digital centres. And alongside business, the LEP is also developing a virtual college to help train and support the workforce to respond to future skills demands in the emerging AI and Clean Growth industries. Our world is changing. And it is the industrial strategies developed first at national level, and then adapted and delivered on the ground by Local Enterprise Partnerships, which will ensure we get the change we want. Read Dave Axam's previous blog here.